The John Deere 244K-II compact wheel loader has increased power to meet the demands of customers wanting an extra boost in their operation. The 324K compact wheel loader is now available with a high-lift option. MOLINE, Illinois (December 20, 2016) — Customers looking for machines that are productive, versatile and ready for anything should look no further than the John Deere 244K-II and 324K compact wheel loaders. Both machines include new features and options to increase productivity, visibility, versatility and lower daily operating costs for the landscape, ag material handling and construction industries. For those operators looking for added versatility, the 244K-II and 324K are compatible with a variety of Worksite Pro™ attachments for optimal job site performance. Both machines feature optional higher flow hydraulics to run heavy-duty attachments, such as snow blowers and cold planers. 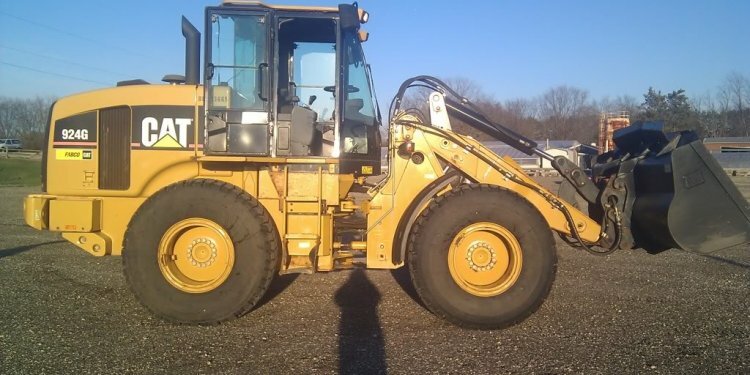 An optional push-button-activated skid-steer style coupler allows operators to connect and release attachments quickly, without leaving the seat. Contractors looking to get the most out of their 244K-II and 324K wheel loaders can rely on Ultimate Uptime featuring John Deere WorkSight™. With Ultimate Uptime, operators receive predelivery and follow-up inspections; three years of JDLink telematics; and the ability to add dealer-provided uptime solutions to customize the package to individual needs. Deere & Company (NYSE: DE) is a world leader in providing advanced products and services and is committed to the success of customers whose work is linked to the land - those who cultivate, harvest, transform, enrich and build upon the land to meet the world's dramatically increasing need for food, fuel, shelter and infrastructure. Since 1837, John Deere has delivered innovative products of superior quality built on a tradition of integrity. For more information, visit John Deere at its worldwide website at JohnDeere.com.